Freeman Agencies is an Australian children’s wear agency. We are committed to bringing our customers in Australia and New Zealand the best baby and kids fashion labels from around the globe. We offer a professional, friendly approach to purchasing and bring a wealth of knowledge and experience to assist the set up of new retail businesses. At Freeman Agencies, we offer an impressive range of leading baby and childrens fashion labels to suit all budgets and styles. Our brands include Hatley, Boboli, Lilly & Sid, Turtledove, Ponchik, Me & Henry, Miles Baby and Beanstork. 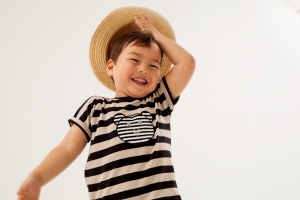 We are excited to introduce Art & Eden for Spring/summer 2019, an award winning sustainable kids range from America. Our organic brands are Art & Eden, Petit Lem, Turtledove and Hatley pyjamas. For Australian design, please see our Beanstork, Ponchik & sOe n ranges. If you are new to the wonderful world of childrens wear, we suggest you read the Useful Info page to answer some of the questions you may have. MF Imports is our importing company. Through MF Imports we import & distribute throughout Australia & New Zealand. For customers who are not able to visit our showroom to view the ranges, we now have an online ordering system. Please contact us if you would like know more about online ordering. Please note: New customers ordering on-line will be required to pay a deposit when placing orders.